Art Pearl didn't just "teach" about politics. He was a practitioner, too. And for Art, the "possible" is not an expression of limitation. There is a "wrong way" to interpret the phrase: "Politics Is The Art of the Possible." Thinking that the expression is to document the limited things that politics can achieve is to misunderstand the concept. "Art," after all is all creation. 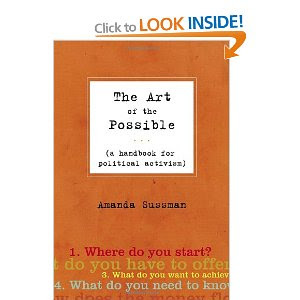 If you are ever discouraged about what seems "possible" in the political realm, my advice is to take a hint from Art Pearl, and from Amanda Sussman for that matter, and to realize that the "art" of politics is our ability to create a whole new reality.